After Google's I/O 2017 Meet, Android O was among the major talks; people waited hardly to know about the next build of OS from Google. 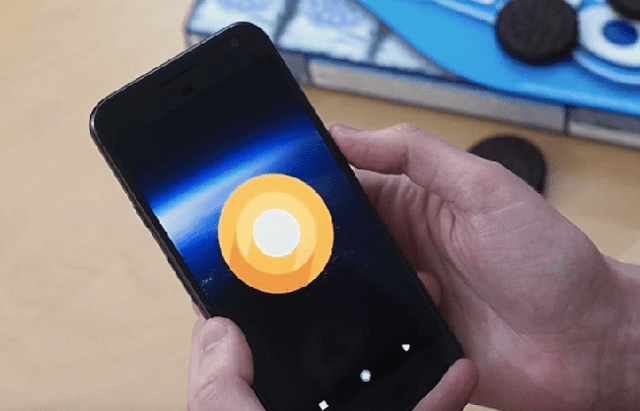 Google announced in their I/O meet that the Developer Preview 2 for Android O will be available for the public to download Android O in Beta version. Only users of Nexus and Pixel Smartphones are allowed to download Android O Beta version; it means these people can test out all the features given with the Android O release. If you're a Google Smartphone user but don't know where to download successor of the Android N, we are here to cover you. If you have a Beta version of any app, this means that app is currently under development and requires some fixings. It is an another phase of testing where users itself test the App regarding interface, design, working, etc. and give feedback to its developer so appropriate fixing can take place and then can be released to the public as a fully developed version. Which devices are supported or can it be downloaded into every Google Smartphone? Android O is backed by few Nexus and Pixel Devices; it means it can not be downloaded into every Google Smartphones. Currently, Nexus 6P, Nexus 5X, Pixel XL & Google Pixel support this update, if you have any of these smartphones then you can text out Android O features. Is it be available in the system update or I have to do something else to Download the Update? Google introduced Beta Programme last year, using which you can test out new apps developed by Google and also preview the underdeveloped latest versions of Android OS. So, First of all, you need to Enroll yourself into that Beta Program. Just go to Google Beta Website and log in using your account which you used into your device. After logging in you will see your Smartphone Model. If your smartphone model is supported, then you will see an option to enroll into Android Beta Programme. What to Do After Enrolling, Where to download the Update? After successful enrollment, your task has been completed. Now Google will send (Over-The-Air) Update on your device to Flash Android O in it. If you have Compatible Pixel Device, then you'll get to see flashing on your screen with seamless updates, and upon completion, you'll be prompted to reboot your device. If you have Suitable Nexus Smartphone, then the update will be downloaded in the background, and the Phone will be restarted to flash the Android O. Do I need to backup my data before Updating? If you have enrolled into Beta Programme, then your data is kept secured into your device and will not wipe out after the update, but to be on the safer side follow the update guidelines and make an appropriate backup of your data. Any Harm to Update into Android O? Beta versions are underdeveloped apps, or you can say apps developed without debugging process, so there will be hundreds or thousand of bugs and errors, but it's what the beta versions are intended for. If you have a lot to do with your device, then it is not recommended to update into Android O into its early days, wait for another Preview version and update later. Are there any new Features in Android O? Rolling back from Android O to Android N? You are allowed to rollback anytime to your last version, just login into Google Beta Programme and unroll your device, and your device will be updated with your previous Android Version (Android N). Rolling back may wipe out all the user data on your device so make sure you have made a backup. After Rolling back to Android N, Can I again Download Android O? Yes, you can again flash Android O into your device, you can opt in any time to test out the updated beta version of Android O.